August 16, 2013 /0 Comments/in Laser Nail Treatment, Toenail Fungus Treatments /by Jenn F.
Toenail fungus is an awful problem to have. Despite the many treatments out there, you are at the mercy of time, as you wait for the infected toenails to grow out — which could take up to a year. For this reason, many people opt to have multiple treatments done to improve the look of the nail as much as possible in the meantime. The bad news is that some of these treatments are costly — and are not covered by insurance companies who claim that toenail fungus is a “cosmetic” issue. 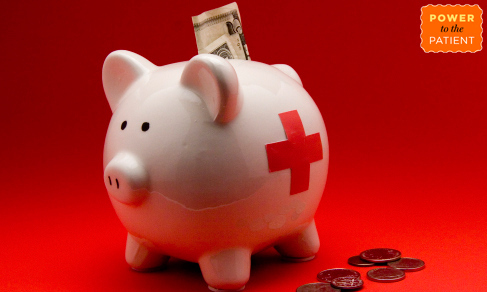 You may need to look into alternative payment options to cover the cost of care. Should You Get Laser Toenail Treatment? 1. Home Remedies – We have seen some very ridiculous claims for toenail fungus home remedies, from white vinegar and Listerine to Lysol spray and Vicks Vaporub. Some of these suggested treatments are definitely unsafe to be slathering on an open infection. One of the more effective home remedies we’ve seen is 100% tea tree oil, which studies show to be effective within three months in 18% of the people who use it and effective within six months for 60% of users. It must be applied twice a day without fail, so only the diligent and patient should try this method of treatment. 2. Foot Creams & Nail Lacquers – The National Institutes of Health says, “Over-the-counter creams and ointments generally do not treat this condition.” Government regulations mandate that these products be safe for human use, but there is nothing stipulating that they must actually work. Many of these products contain known antifungal agents, but lack the clinical studies to verify that they are efficient in human subjects. The problem is that most foot creams can’t penetrate the nail bed to get at the root of the infection. 3. Oral Prescription Pills (Lamisil) – Lamisil pills are the standard treatment doctors prescribe for toenail fungus because it works for at least 2 out of 3 people in a relatively short amount of time. However, we find this medication has many drawbacks. For one, it’s expensive — costing hundreds of dollars to complete the course of treatment. Secondly, you will need to have your liver periodically monitored to make sure the drug is not overtaxing your system. Thirdly, there have been more than 722 adverse events reported related to Lamisil and over 70 liver failure lawsuits are in the pipeline. Lastly, side effects may include permanent taste loss. 4. 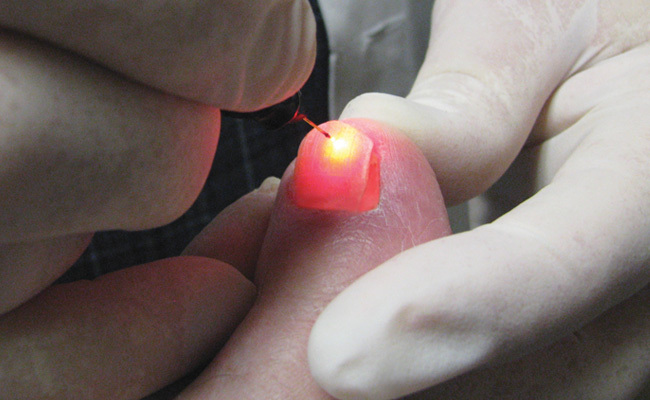 Laser Treatment – The number of podiatrists and medical clinics offering laser treatment for fungal nails is growing. It’s a quick, painless treatment that zaps the fungus dead, all the way down to the nail bed and improves the look of the nail in the process. You will still have to wait for the old nail to grow out to see the full benefit, but the nail usually clears slightly. There are no short or long-term side effects associated with this procedure. The only downside is the price — and the fact that insurance won’t cover it. 5. Surgical Nail Removal – In rare cases, the toenails are removed. The doctor will use a numbing needle and proceed to loosen the nail from the bed with tools right in his office. Then he will destroy the nail matrix with a chemical to prevent the fungus from growing again in the new nail. This procedure is only done when the nail is causing extreme pain to the patient or if the condition cannot be resolved through any other method. It could take 12 to 18 months for the nail to grow back. How Much Does Laser Toenail Treatment Cost? Laser toenail fungus treatment costs $995 to $1,200 on average, depending on the number of toenails affected, the state, the nail thickness and the type of laser used. This can be a lot of money for someone who isn’t expected to pay out of pocket. Insurance companies say that laser toenail treatments are a “cosmetic procedure” that doesn’t affect the overall health of the patient. Borrow money from a Credit Union. Ask your bank for a small personal loan. 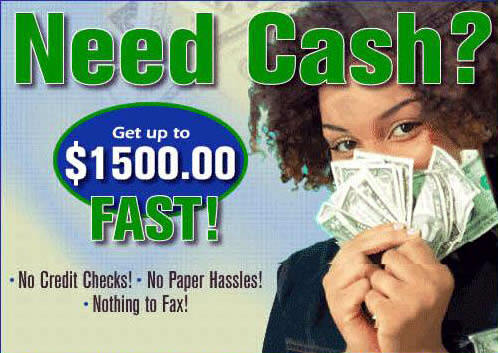 Borrow money from family or friends. If your place of employment offers a tax-free savings account, you can also use that to cover the cost of onychomycosis laser treatment. Also, don’t forget to cover all bases and invest in a SteriShoe UV shoe sanitizer to sanitize your shoes of fungus and prevent a recurrence. It doesn’t make sense to spend all this money treating the problem — only to have it come back again as soon as you put your feet into contaminated shoes.